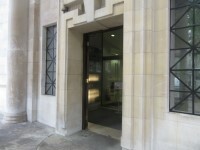 UCL has offices on the fourth and fifth floors. If you are driving to Aviation House please be aware that it is located within The Congestion Charge Zone. 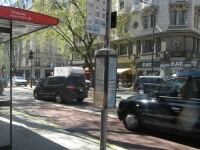 Bus Stop P is approximately 100m from Aviation House and is served by the following buses; 1, 171, 243, 521, 758, N1, N68. Kings Cross/St Pancras is approximately 2km from Aviation House. 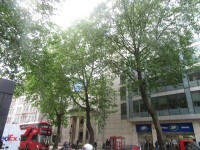 The nearest Underground Station is Holborn, which is 80m from Aviation House. This information is for the entrance located off Kingsway. 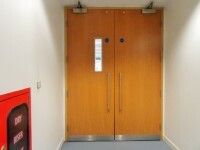 There is an alternative heavy single door with a width of 90cm that can be used instead of the second entrance door. 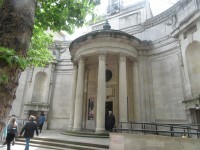 This can be seen in photograph 4. 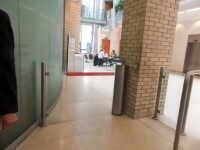 There is also a heavy revolving door with a width of 140cm that can also be used instead of the second entrance door. 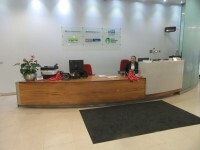 The Aviation House reception is located in front of you on entrance. The desk is staffed 24 hours a day. 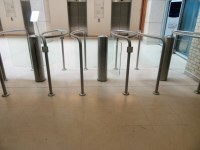 There are barriers to leave the reception area. 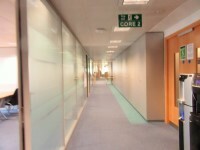 These can be seen in photographs 2 & 3. 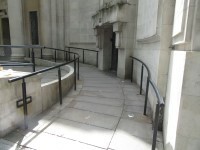 The floors which are accessible by stairs are G-1-2-3-4-5-6-7-8. 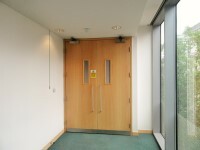 There are manual, heavy, double doors to access the stairwell on the fourth floor and on the fifth floor. 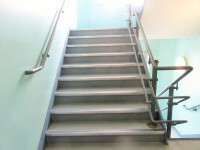 There are similar stairs leading to core 3. You are on Lift (Main Lifts). Skip to the next section. 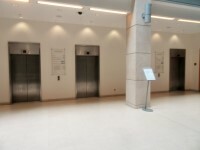 The lift is located in the ground floor atrium. 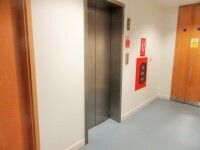 The floors which are accessible by this lift are G-1-2-3-4-5-6-7-8. 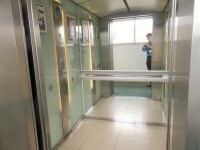 There are manual, heavy, single doors to access the lift lobby on the fourth floor. 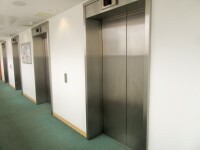 The dimensions of the lift are 150cm x 134cm (4ft 11in x 4ft 5in). The highest controls are at a height of 124cm. 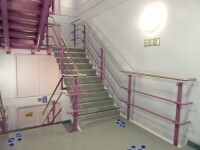 There are smaller fire lifts that are also present within the building. 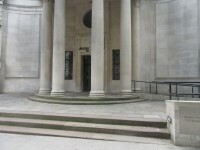 You are on Entrance (Fourth Floor UCL Area). Skip to the next section. 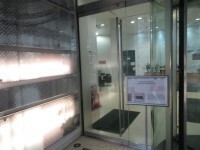 This information is for the entrance located to your left when you exit the lift. 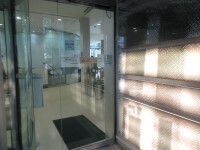 There is a similar entrance on the fifth floor (as shown in photograph 2). You are on Accessible Toilet (Entrance Foyer). Skip to the next section. 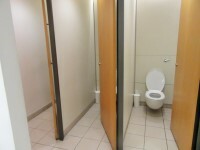 This accessible toilet is located to the left of the entrance foyer. You are on Accessible Toilet (Fifth Floor). Skip to the next section. 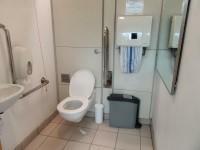 This accessible toilet is approximately 3m (3yd 10in) from the lift. This accessible toilet is located to your right on exiting the lift. 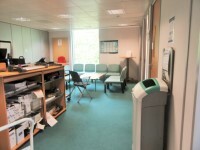 There is a similar accessible toilet on the fourth floor and can be seen in photograph 2. 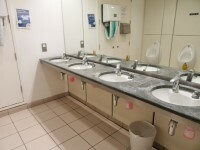 There are male and female standard toilets facilities on the ground floor, the fourth floor and the fifth floor. The toilet surveyed is located to your right when exiting the lift. To view the full Estates fire safety handbook/ Emergency Plan for Aviation House please click here (new tab).